Cairo’s Photopia is to host a talk with filmmaker Abu Bakr Shawky, the filmmaker behind Cannes-nominated film Yommedine, on 27 June. 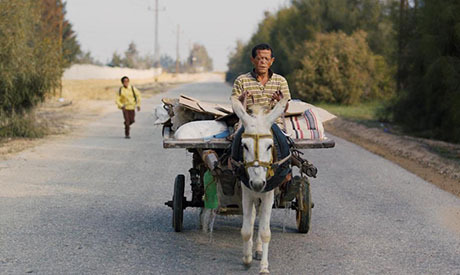 The Egyptian film recently premiered at Cannes to compete for the Palme D’Or award. The event will feature the screening of selected scenes from the film, which has not yet been released in Egypt. A moderated discussion with Shawky will be held, as well as a Q&A session with the audience. Yomeddine follows a leper named Beshay who leaves the confines of the Abu Zaabal leper colony for the first time, embarking on a journey across Egypt. In the company of his orphaned apprentice Shika, he goes in search of what remains of his family. The film is the feature debut of Egyptian-Austrian filmmaker Shawky, who was born in Cairo in 1985, studied Political Science and Filmmaking in Cairo, and graduated from NYU Tisch School of the Arts’ graduate film programme. The feature length Yommedine comes after several shorts: The Colony; Things I Heard on Wednesdays, and Martyr Friday have screened at festivals around the world. Yommedine is the first Egyptian directorial debut to be screened in Cannes official competition, and was hailed as a triumph by standing ovation, when it screened at the festival.